Some tidbits from Level-5 president and CEO Akihiro Hino. The latest issue of Weekly Famitsu has an interview with Level-5 president and CEO Akihiro Hino on Inazuma Eleven Ares. They want a wide range of people to play the latest Inazuma Eleven, so they thought to support as wide a range of platforms as possible. Since the game’s scale (graphics, etc.) became too much for 3DS to handle, they decided to make it for Switch and PlayStation 4. And in considering the needs of the current generation, they are also supporting smartphones. 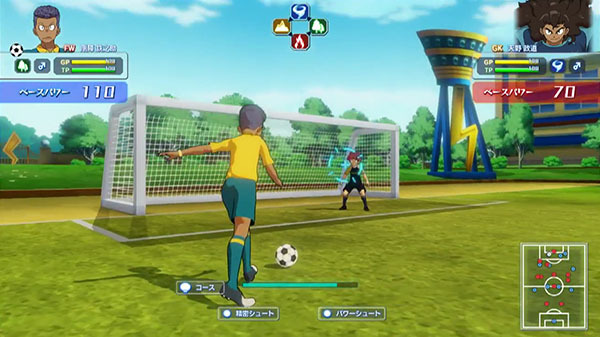 Inazuma Eleven was initially intended for children, but this time they are also incorporating more fun for adult fans. That said, there may be some differences in game design between the console and smartphone versions. Development is progressing in a way so that users can feel they are truly playing a soccer game. Asked his opinion on the many players taking screenshots nowadays, Hino said he wants to include many features in the game. The Inazuma Eleven Ares anime will start first, and the game will be released at a later date. The series’ tradition of scouting your favorite players in the game will return, so you will be able to scout players from defeated schools to join your team. There is a player-related system (player as the members of your team) that has not appeared in previous Inazuma Eleven titles. Since everything is being newly made, they are not using any old assets. The volume has become quite enormous. When considering the project, the idea of making Endou’s high school story came up. However, if he was a high school student, the love problems would probably get ugly, so they decided to set it in middle school in a parallel world. They are taking note of the feedback, and making various advance preparations to tackle all types of developments. Hino feels that there is potential to produce results comparable to Yo-kai Watch, and closes that he would like everyone to check out the new Inazuma Eleven. If you missed it last month, catch some gameplay footage here. Inazuma Eleven Ares is due out for PlayStation 4, Switch, iOS, and Android in Japan in summer 2018.